KPI Metrics for the Internet, IT, and Service Management - ITSM - The CIOs biggest challenges is to justify staffing and spending levels as they strive to improve IT efficiency. When assessing comparative benchmarks, it is hard to know which metrics to start with. The Metrics for the Internet, Information Technology and Service Management HandiGuide helps CIOs to understand and pick the appropriate comparative benchmarks to justify staffing and spending, improving IT operations and demonstrating the value of IT to the business. Most IT metrics efforts lack relevance to the business and are not well linked to business outcomes. They tend to be IT focused, such as WAN availability or server downtime. It is difficult for the business to understand how these measures relate to its objectives, and they provide little insight into the value that IT delivers. Relate to the enterprise and its management team. Server availability, network throughput, help desk call volumes, capacity utilization, and other IT operational metrics are not relevant to business executives. These types of metrics need to be translated into something enterprise management understands, such as availability of business applications or the cost to support a business area. The IT-operational metrics should be kept within IT unless they can be put in enterprise terms. Relate to the enterprise strategic and tactical objectives. Enterprise executives are concerned with introducing new products and services, improving customer loyalty and satisfaction, increasing gross margins, and growing market share. IT metrics must be linked directly to these enterprise objectives, specifically demonstrating how IT initiatives contributed favorably to improving them. Effective SLAs are extremely important to assure effective Information Technology operations. The metrics used to measure and manage performance to SLA commitments are the heart of a successful agreement and are a critical long term success factor. Lack of experience in the use and implementation of performance metrics causes problems for many organizations as they attempt to formulate their SLA strategies and select and set the metrics needed to support those strategies. Fortunately, while reaching for perfection is difficult and costly, most organizations can achieve their objectives through a carefully chosen set of simple-to-collect metrics. Hopefully, this paper provides some insights into the "whys" and "hows" of this selection process. The Metrics HandiGuide is the tool that can be used to accomplish that task. Tie all commitments to reasonable, attainable performance levels so that "good" service can be easily differentiated from "bad" service, and giving the service provider a fair opportunity to satisfy its client. You can either order the the Metrics HandiGuide or you can get it with hundreds of pages of supporting material that is available with full update services. Controlling costs is a daily struggle. 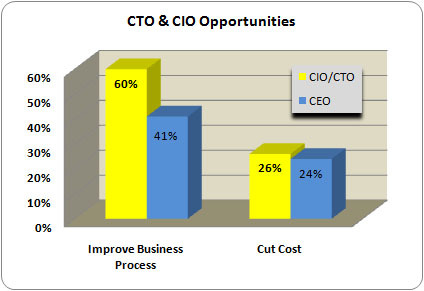 We are the number one provider of cost control tools to help CIO and IT managers to win the battle of the budget. You can start with just the HandiGuide or add Service Level Metrics or even create an organization with job descriptions that are geared towards cost control with a focus on IT Service Management. The Metrics for the Internet, Information Technology and Service Management HandiGuide is over 300 pages, defines 540 objective metrics, and contains 83 metric reports that show over 240 objective metrics. The metrics cover all areas of the Internet, Information Technology, and Service Management -- including WIRELESS metrics which in turn includes mobile broadband specifications. In addition, there are industry specific examples for financial services, distribution, manufacturing, education, entertainment, government, hospitality, insurance, medical, real estate and retail.